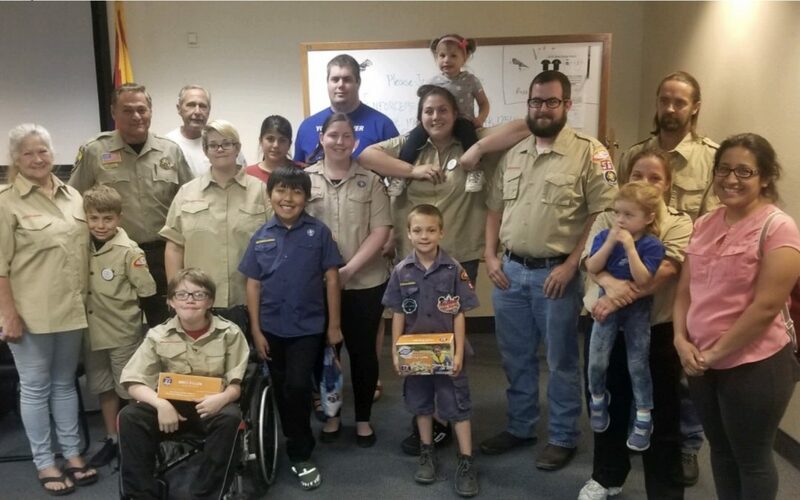 At the regular meeting for the Mohave County Sheriff’s Office Search and Rescue Bullhead City Unit on Tuesday (4/2) evening, the Boy Scouts of America Pack 56 made a presentation to the unit and thanked the searchers for their dedication. The Pack raised money selling popcorn and made a donation of $183.00. This donation was greatly appreciated and will go towards purchasing gear and equipment used during our search and rescue operations.